Portable propane heaters utilize pressurized gas to supply heat to under-insulated areas like garages, outdoor patios, hunting blinds, unheated warehouses, even on camping trips. These self-contained, portable propane heaters are essential survival tools. They don't need to be plugged in or hooked up to a gas line- and most include auto-shut off features so that they turn off if the flame goes out, and if knocked over for increased indoor safety. The 9.5 lb., Mr. Heater MH9BX is our top pick- it can heat up to 200 ft.², includes low and high heat settings respectively of 4,000 and 9,000 BTU/hr, and can directly connect to 20 lb. propane cylinders or work from the included 1 lb. propane bottle. The Mr. Heater portable propane heater has many raving fans- with some describing using it on an Alaskan camping trip, where temperatures outside were -10 degrees Fahrenheit. This portable propane heater heated up the interior of their tent to the point where they could comfortably sit around in a light sweater. A hurricane Sandy survivor also has positive feedback- he writes that this is an exceptional room heater and was an exceptional option for emergency use to maintain safety and comfort during a prolonged power outage. Let's take a look at five of the best-selling portable propane heaters on the market today and see how they compare. This ten pound, Mr. Heater (F232000 MH9BX) Portable Radiant Heater (it comes in 4,000 and 9,000 BTU options) is a great portable propane heater that’s good for indoor or outdoor use with a range up to two hundred square feet. Users love how fast it works and how fast the area of use heats up- but make sure that it is used in an open area and not in a confined space during use. The Mr. Heater F232000 has an auto shut-off switch- if it is tipped over, the pilot light goes off, or if it detects low oxygen levels. 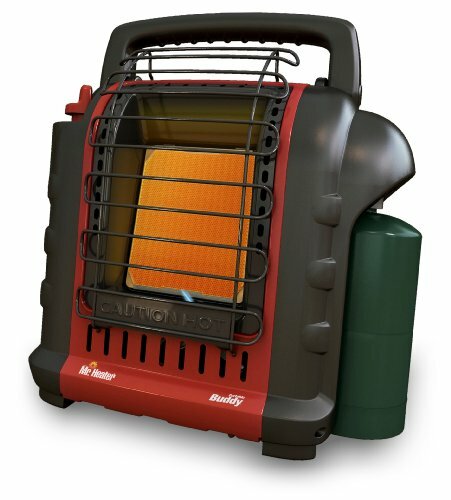 The Portable Radiant Heater is lightweight and can connect into a twenty-pound propane tank, as well as the included propane cylinders. One buyer said that it lasted about six hours of constant use on low and three hours on high- this is using the portable propane containers not the twenty pound tank with the connector. More than a few buyers also liked that it didn’t give off a smell or fumes. One buyer talked about how the igniter didn’t work and they had to use a lighter or match to get it going. They said it worked fine but it should not have this problem. This is an efficient, portable radiant heater for anyone looking to heat a small room or that goes camping on cooler nights. 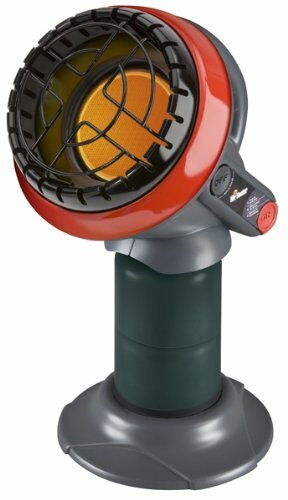 This five pound, Mr. Heater ‘Little Buddy’ 3,800 BTU Propane Heater is a solid, extra-small portable propane heater that supplies continuous heat for five and a half hours, odor free. Users like that it has an automatic shut off sensor, so if it is tipped or reads low oxygen it will shut off, but you have to be careful with the stand. A few buyers of the Mr. Heater F215100 said that the base is not stable enough to hold the heater which is top heavy. The Little Buddy can be angled forty-five degrees and is lightweight and easy to carry. Some buyers say that it heats up fast and is works great in a small area. 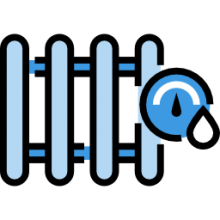 One user suggestion is that you should get the coupling used to transfer the propane from the big tank to the smaller tanks, they said that this should help you save on the cost of propane. Some buyers had a hard time lighting the Mr. Heater and said that when your fingers are very cold holding the button for the, approximately, forty-five to sixty-five seconds can be hard. This portable propane heater is an inexpensive option if you are looking to heat up a small area or keep your hand warm while in the cold. This two pound, Texsport Portable Outdoor Propane Heater is an ‘OK’ portable propane heater with an individual regulator that can adjust the burner up to 2,890 BTU’s. Users like how long it can last with a few saying it went between 8 ½ to 7 ½ hours, but you need to make sure not to use it in a tent or any other enclosed area. The Texsport has an auto shut off switch that will shut off the fuel if the flame goes out. The Outdoor Propane heater has a wide paddle foot, plastic base that will keep it steady and stable. People use the Texsport for a wide range of outdoor activities, a few mentioned by the buyers would be hunting, astronomy, camping and more. One buyer that used the Texsport while hunting said that there was frost on the ground and the little propane heater kept him nice and warm. A few buyers didn’t like that it didn’t have a start up button and that you had to have a lighter or match with you to start it. This portable propane heater is an inexpensive choice if you are looking for something small to take with you to use outdoors to stay warm. This five and a half pound, emergency butane heater is a great portable survival tool- it uses a standard butane gas canister for portability. Users like that it is easy to use, heats up quick, and you can angle the heat to where it is comfortable for you, but it is not meant to be used indoors. The Camping Emergency Butane Heater has a pressure sensing shut off switch for safety. It also can run on 100gm of gas per hour and has a swivel body for easy adjustment. Some buyers mention how easy it is to carry around and how well it puts out heat for such a small unit. But since it is a small unit some buyers say it is only good for a small area and not meant to be used for a big area. 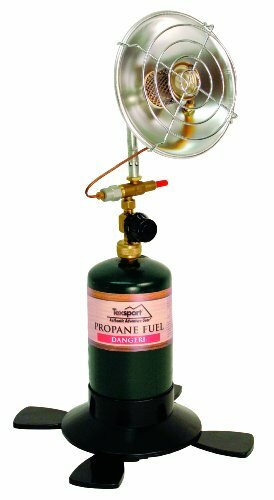 Though this can be used for both propane and butane it seems those that try to use a propane attachment have a problem. One user said they had flames shooting out of it. It is possible they just did it wrong or that there possibly is a specific guideline you have to go through before using propane. 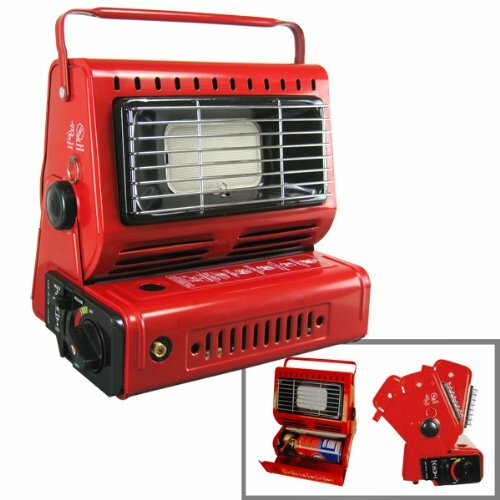 This is an inexpensive option if you are looking for a light portable heater to use outdoors. This seventeen pound, Dyna-Glo, 30,000 – 60,000 BTU liquid propane forced air heater is a great portable propane heater with a swivel carrying handle for easy transportation. Users love how fast this heater get going, a few customers mentioned that they just plug it in a let it work, though a few users seemed to have a problem with the instructions to set it up. The Dyna-Glo has an adjustable heat angle so you can angle it to where it is needed. It also comes with a ten-foot hose and the regulator is included, you will get about fourteen hours of fuel time on a twenty-pound tank. This Propane Forced Air Heater also has a tip-over shut off and back pressure switch for safety. One customer said that they used it when it was about six degrees outside, but they were wearing a t-shirt and sweating while in their shop with the heater. Another customer said that the outside temperature was about twenty-six degrees Fahrenheit and while working in their garage they wore a sweater and no gloves and was still warm. One customer said it shot out a long flame on ignition. Other users have also mentioned faulty parts when they use it the product for extended periods. But it seems the majority of buyers liked what it is able to do for what it costs. 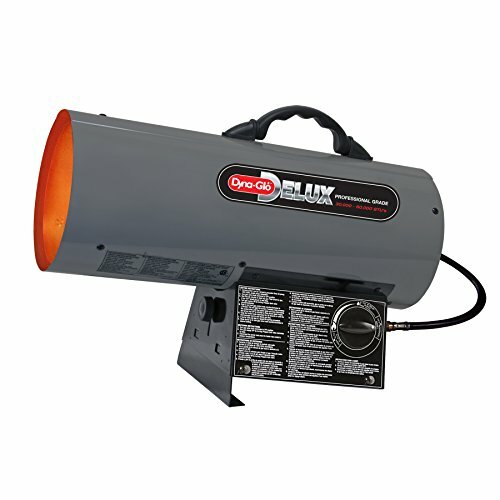 This portable propane heater is an efficient option if you are looking to heat a small area. Portable propane heaters have a variety of uses- they are frequently employed during emergency situations like during hurricanes, floods and blizzards, when power can be lost in the home- and for off-the-grid survivalists. Their power is measured in BTUs (British Thermal Units), which corresponds to their energy outputs- for example a 100 square-foot room would require 10,000 BTUs, to get a sense of what this unit of measurement implies. Oftentimes, they are used to heat up the interior of a tent during a camping or hunting trip, or just to provide some added warmth for cold interiors like unheated garages, large and frigid warehouses, and near workspaces that aren't supplied with heated air conditioning. Many extreme-weather veterans, frequently campers, swear by portable propane heaters- they often need the extra supply of heat when they aren't cooking, and are not yet asleep, to keep them comfortable and safe throughout their outdoor journeys. One experienced camper responded to concerns that it is dangerous to use a propane heater inside of an enclosed tent. He says that there's more than enough ventilation to ensure that gas doesn't build up- as well most of the outdoor propane heater units have auto-shut off systems to prevent them from running when the flame goes out. He particularly endorsed the Texsport propane heater- at just under 2 lbs it is a really lightweight option that can attach to any gas cylinder. While permanent propane heaters can be mounted and attached to ceilings, floors and walls, portable propane heaters are, indeed, a little bit different. They typically feature different styles of bases, some with bottom-weighted foundations, others with feet that provide stability, and some others with rounded construction-grade bases to help prevent them from falling over. In general, propane heaters can generate life-giving heat for emergency and recreational uses-no matter whether you are on a job, or just out in the wilderness with your friends having some fun. Many users find them indispensable for construction sites, cars, agricultural buildings, and even outdoor events where people often have to endure uncomfortable temperatures for extended periods of time. If you are in the market for a portable propane heater, get a sense of the space size you are looking to supply heat to- there are range of different models available that heat different-sized areas.